In order to comply with EU tax regulations, starting from April 16, 2018, Kinsta has started charging VAT (Value-Added Tax) to EU residents and EU based companies. 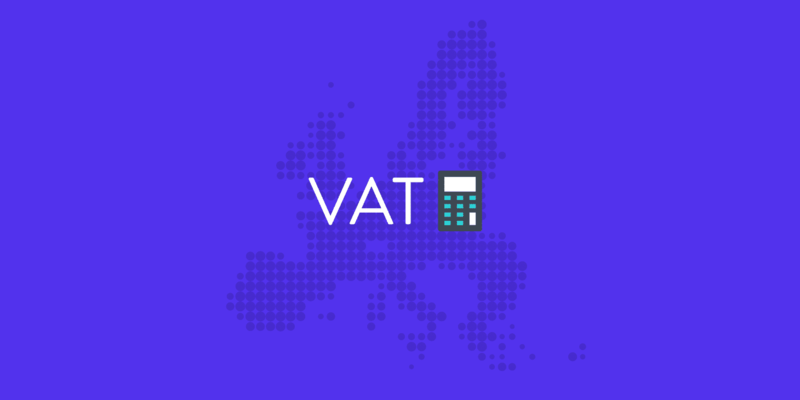 This Knowledge Base article contains everything you need to know about what VAT is, how it affects you as a Kinsta customer. If you’d just like to enter your VAT number take a look at our article on how to add your VAT number. Please note that this article does not constitute legal or tax-related or other professional advice. If you have questions about adding your EU VAT identification to our system please contact support at any time. If you have further questions please contact your accountant, legal advisor or local tax authority. Who Is Affected By EU VAT? This Knowledge Base article is only important to you if you are an EU resident or if your company is registered in the EU. VAT – Value Added Tax – is a form of tax that you must pay after the purchase of most goods or services in the EU. This includes digital services such as hosting. VAT is a percentage of the price which is added to each invoice. The VAT rate is defined by each EU country. Depending on which country you reside in or your company is registered in the VAT rate will be different. The EU publishes data on the specific VAT rates in its member states regularly. Take a look at the EU’s official page about VAT rates. Note that each country can set multiple VAT rates. Our services fall under the standard rate. If you are an EU resident or your company is registered in the EU we are obliged to apply VAT to your purchases. For example: at the time of writing the standard VAT rate in Spain is 21%. If you purchase a Business 1 plan (list price of $100 at the time of writing) your checkout total will be $121. This consists of the $100 list price and a 21% tax which is $21. These items are shown separately on the checkout page and in your invoices. The VAT rate we must apply depends on your selected country. If your account is a company account (you can set this up during signup or anytime afterwards in MyKinsta – see below for a detailed guide) and you provide a valid EU VAT Number we are allowed – under EU tax rules – to zero rate VAT. This means that we will charge 0% VAT. If you have a VAT number you should add it during registration or in the MyKinsta interface to make sure VAT is not charged to you. Zero rating VAT applies to trade between two different EU countries. Since Kinsta is registered in the United Kingdom we can not zero-rate invoices for companies also in the United Kingdom. If you have a UK company you should still add your EU VAT number as you may be able to apply for a VAT reimbursement at your local tax authorities. Note that many European countries may issue national (non-EU) tax numbers or other tax identification numbers. These are not EU VAT numbers and can not be used to reduce the amount of VAT to be paid. What Happens On April 16, 2018? From this date onward Kinsta will start applying VAT to all our new customers. The signup form will allow you to add your VAT number which will be checked against VIES (the EU’s official service for checking the validity of a tax number). On this date, our changes will not affect existing customers. We have decided to give our existing customers a grace period over a month to update their company information. We will start charging our customers who have registered before April 16 VAT starting the 1st of June. What Happens between April 16 and June 1 of 2018? Customers who registered after April 16th, 2018 will be charged VAT according to their country of residence or their company’s country of registration. Customers who registered before April 16th, 2018 will not be charged VAT yet. We kindly ask these customers to update their company details in MyKinsta (see how). Customers who registered before April 16th, 2018 will be charged VAT starting the 1st of June, 2018 – if applicable. What Happens On June 1st, 2018? Starting June 1st, 2018 all of our customers – to whom EU VAT applies – will be charged VAT. This means that any invoice created after June 1st, 2018 will contain VAT. It is important to note that if you obtain an EU VAT Number you may add it any time to MyKinsta, even after June 1st. Once a valid EU VAT Number is added to our system your following invoices will not contain any VAT. Will I be Charged VAT Retroactively? Absolutely not. Kinsta will start charging VAT to its new customers from April 16, 2018, and to its existing customers from June 1st, 2018. Any invoices before this period will remain as they always have been. If I Am Being Charged VAT Can I still Add My VAT Number? Yes! Our system will check your VAT number at the time of invoice generation. If you are a company and you have a valid VAT number added to MyKinsta we will not add VAT to your invoice. This means that if you are currently being charged VAT you may add a number at any time. This will not modify invoices which you have already paid, but as long as your VAT Number is valid we will not charge VAT for subsequent invoices.